I never planned for DECEPTION to be part of a three-book series but it just sort of happened. The Sisters By Choice novels feature courageous women who make the choice to help “a sister” in spite of the danger involved. DECEPTION is the first in the series and features a set of estranged twins that couldn’t be more different from each other or so it seems. Patti is a go-by-the-rulebook type of person while Jamie is a “free spirit” or at least that’s the persona she portrays to the world. But DECEPTION is the title of the book and that means there are more than a few surprises waiting as the story unfolds. Jamie glared at the white leather sofa, the plush pristine white carpet, the white walls. Splashes of color from accent pillows provided the only relief from the white. The room was perfect and Jamie detested it. All she wanted was to move back home so her precious daughter could experience a normal childhood and finally meet her Aunt Patti. Jamie stopped pacing like a caged tiger and put a hand over her heart. The pain of missing her twin so real she could barely breathe. It would all end soon—very soon. Then she could go back home. As much as she wanted to quit right that second, she knew she wouldn’t. Innocent people would die if she did and she couldn’t let that happen. She moved to the sliding glass door leading to her patio and opened it. The steamy Florida air rushed into the coolness of the air-conditioned house. Darkness enveloped her as she stepped out. She inhaled the scent of the tropical flowers adorning her patio. She welcomed the quiet of the night. Guilt tugged at Jamie once again. Sabrina deserved a full-time mother, not one who spent a handful of days with her every month. This craziness would soon stop, and then she could make a real home for Sabrina. She hit a button and the cover of the hot tub slid away. Steam bubbled up. The warm water caressed her skin as she lowered herself into the hot tub. Her muscles relaxed. A slight rustling in the bushes caught her attention. Jamie turned toward the noise and peered into the darkness. Nothing. Still, she felt a chill in spite of the warmth of the water. Her senses went on alert. She was so tired of all the deception and intrigue her life had become. As she stepped out of the hot tub, unseen arms grabbed her. I loved writing the story of Patti and Jamie which is how it ended up being a three book series. Right now Deception (e-book only) is on sale for a limited time for only 99 cents or you can buy the complete Sisters By Choice anthology for only 3.99. 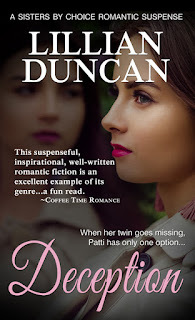 Lillian Duncan: stories of faith mingled with murder & mayhem! 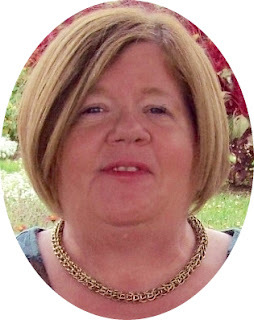 Lillian is a multi-published writer with several Amazon bestsellers, including Game On. Lillian writes the types of books she loves to read—fast-paced suspense with a touch or two of romance that demonstrates God’s love for all of us. Whether as an educator, a writer, or a speech pathologist, she believes in the power of words to transform lives, especially God’s Word. To learn more about Lillian and her books, visit: www.lillianduncan.net or at Tiaras & Tennis Shoes, her personal blog at www.lillian-duncan.com. She also has a devotional blog at www.powerupwithGod.com. 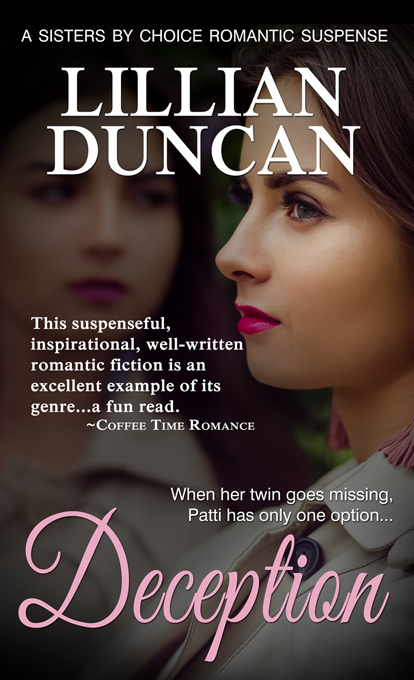 Deception involving twin sisters will make it a fun read. Thank you for sharing the prologue. Interview with Glenn Haggerty and #giveaway! !